Thank you very much for taking the time to support my writing! Last week’s article explored gratitude. This noble emotion acknowledges help we couldn’t have given ourselves. It lets us know we aren’t alone. This writing will go into an important way to find gratitude. That method is accepting the seasons of life—both sorrowful and joyful. Many new mothers are young; however others have tried for years to have a child. These fine ladies probably feel grateful. The previous sorrow is overshadowed by the joy of motherhood. Our young kids keep us busy running after them. When they become teenagers, they’re more likely to hide away in their rooms. Some students don’t enjoy school. They drop out. High-school graduates may appreciate the better jobs they can get after 12-13 years of hard work. College degrees open more doors. 1. Construction often requires destruction. Remodeling is a messy, noisy job. Old woodwork and equipment may have to be taken out. Whatever’s being replaced must be torn down before the new gadgets and gizmos are installed. 2. We must get rid of the old to make room for the new. 3. The planting comes before the harvesting. 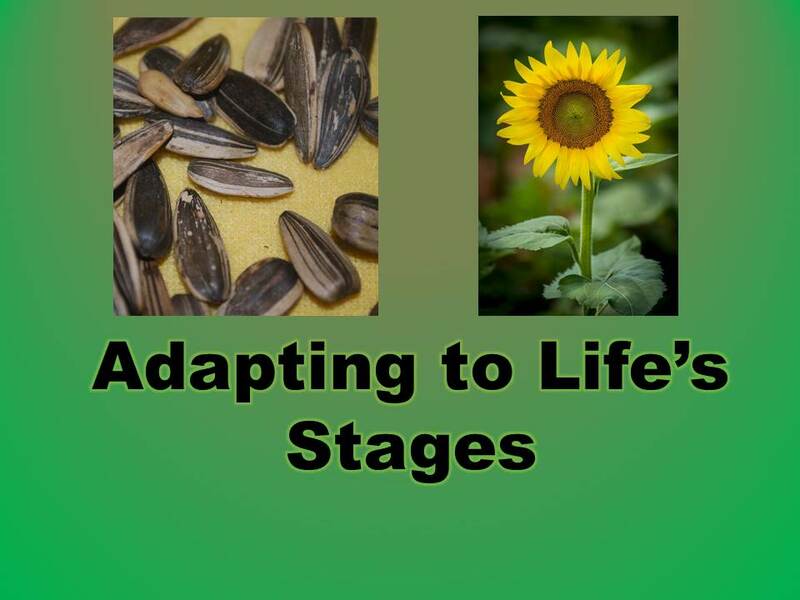 The image above shows sunflower seeds and a fully grown sunflower plant. What it doesn’t show is all the work during the 80 to 120 days it takes for the flower to mature. Do you accept life’s stages?